Hi everyone! So I know that today is not our regular post day but I had to make an exception and share the exciting news! 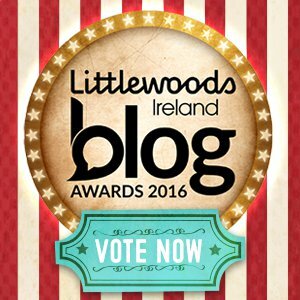 This blog, my little baby, has been shortlisted for the Littlewoods Ireland Blog Awards 2016 in the Beauty Category! I can't believe it! I am beyond happy and so excited. Now the important part, the voting. The voting is based on an 80-20 system. 80% of the of the overall mark will be decided by the Littlewoods Ireland judging panel, where are the remaining 20% of the mark is decided by YOU! I would like to ask you to take a few minutes and vote for me and this blog by clicking HERE or the picture below. I will have a handy link in the sidebar for you as well! It would mean the world to me. And remember, sharing is caring so spread the word and this blog.